Now in stock! 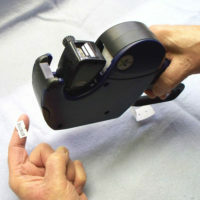 Autostat offers its very own 1 line-8 Digit Band Label Gun with a 5 year warranty! Sturdy light-weight plastic with an ergonomic design that prevents carpal tunnel and other hand fatigue issues. 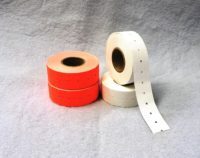 Easy label loading and non-skip secure dispensing of labels at optimum speed. Simple 8 digit Band Dial Set adjustments with True-Lock head screws. 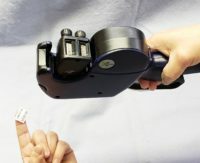 Prints Six (6) digit pricing with unit of measure , Five (5) digit “2 For Pricing”, and up to Five (5) digit price per variable unit of measure. Made in Italy… Each Label Gun comes with a 5 Year Warranty! Label Gun with a Five (5) Year Warranty! Sturdy, light-weight plastic with an ergonomic design that prevents carpal tunnel and other hand fatigue issues. or up to six digit “2 For Pricing”. 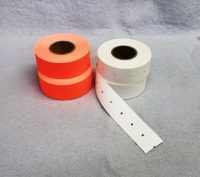 Replaceable Ink Rollers(2) provided with each Label Gun.